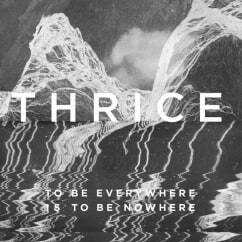 To Be Everywhere Is to Be Nowhere is another sensational addition to Thrice’s discography. Thrice is known for their early metal and punk influences, their time signature shattering intricacies and their meaningful, philosophical lyrics—on the surface. But taking a look at their extensive and prolific 17-year career reveals the most important detail about the band: Thrice is never afraid to reinvent themselves and has never put out the same record twice. To Be Everywhere Is to Be Nowhere is yet another reinvention, another progression, another rearrangement of their influences. 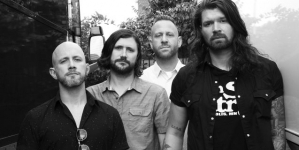 And while every Thrice record could have been (but was not) recorded with totally different lineups, To Be Everywhere is something completely new while containing the most connective tissue to their back catalogue than any of their previous material. An impressive feat. 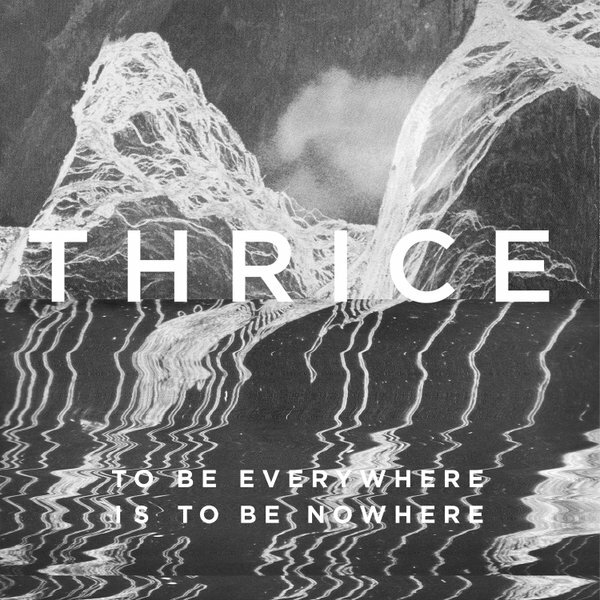 To Be Everywhere can be summed up as Thrice’s response to grunge. That summation of course does a disservice to the countless nuances that naturally come to the surface when these four gentlemen write music. But as an immediate, hair-trigger reaction to hearing the opening track “Hurricane,” yeah, it’s grungy, it’s ‘90s and it works. Hair-trigger only, mind you. Because “Hurricane,” like its namesake, is massive and destructive. 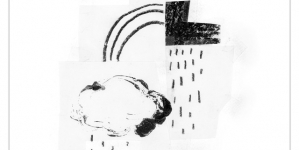 Dustin Kensrue’s voice has only benefitted from his time away from the band (Thrice’s hiatus lasting from 2012–2015), modulating between his rasp to a newly discovered, nearly radio-ready tenderness that is as shocking as it is impressive. Think Chris Cornell meets Dan Reynolds (of Imagine Dragons). Let it be said that, for Thrice fans, the Imagine Dragons comparison may be off-putting. But listen to “Hurricane” and get over yourselves. The vocal variation, the thunderous musicality and the neo-old school rock vibe makes for a massively successful opening track. 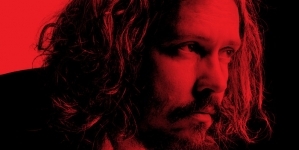 “Blood on the Sand” stylistically moves from the crushing heaviness of “Hurricane” and picks up the pace a bit. It is also the first true example of Thrice’s lyrics taking on a political bent as opposed to their more philosophical leanings. Kensrue leaves nothing to the imagination here as he sings, “We wave our flags/ We swallow fear like medicine/ We kiss the hands of profiteers and their congressmen/ But I’ve seen too much (of this fear and hate)/ I’ve had enough (and I’m not afraid)/ To raise a shout/ To make it clear/ This has to end.” Considering he used to derive his lyrics from literature, religion, philosophy and occasionally science fiction, this is a leap into uncharted territory. But, despite some of the lyrics being a bit on the nose, tracks like “Wake Up,” “The Long Defeat” and “Whistleblower” work quite nicely within Kensrue’s new point of view for Thrice. As for the connective tissue to their previous work, some sections of To Be Everywhere are more or less tips of the proverbial hat to their impressive past. See “Death from Above” for a riff that will take you back to 2005’s heavy, experimental battle cry of an album Vheissu. Short but sweet, “Seneca” is atmospheric, foreboding and beautiful, matching up nicely with some of Thrice’s work on 2007’s The Alchemy Index, Vol II: Water. “Stay With Me” is one of the relatively softer tracks on To Be Everywhere (relatively indeed), but it’s a song that harkens back to 2009’s masterful Beggars. It should be noted that the songs themselves aren’t exactly what recalls Thrice’s catalogue; it’s more the fact that they contain familiar elements in the music, capture the emotions in the atmosphere. 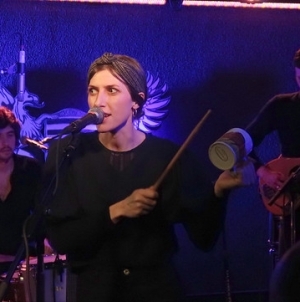 The band’s sense of progression wouldn’t allow for a rehash of old ideas, but it’s the intentional placement of old elementary particles that tether the new to the old that makes To Be Everywhere so impressive. To Be Everywhere Is to Be Nowhere is more than likely the last time we’ll see this musical iteration of Thrice. The quartet will most certainly move on from this sound to create something new, something that will shock and surprise. But as this more or less standalone album is left behind, it’s one of the band’s most well thought out records rivaling – but just falling short of – The Alchemy Index (a four-part concept record stylized and inspired by the primordial elements of fire, water, air and earth) and Beggars (a staggeringly brilliant display of musical talent). But, as far as thunderous, kick-in-the-teeth rock ‘n’ roll albums from a band that continues to impress go, To Be Everywhere Is to Be Nowhere is another sensational addition to Thrice’s discography. We don’t know where they’ll go next, but, goddamn, is it always worth the wait.